James Shands is a registered patent attorney at Schwegman Lundberg & Woessner. 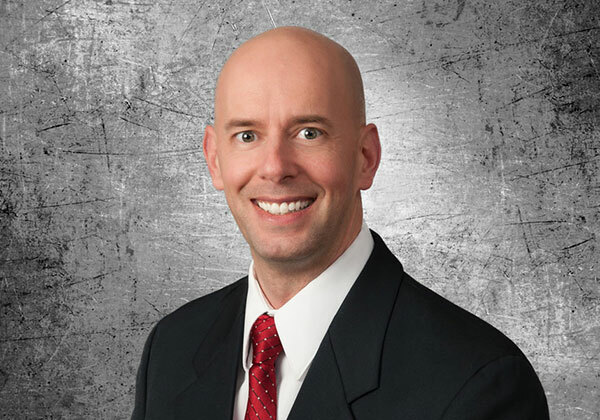 His practice includes patent procurement in the electrical, biomedical, software, mechanical, and computer technologies, as well as portfolio management, counseling, and analysis for a wide variety of clients ranging from small startup to large Fortune 500 companies. Jim has experience preparing and prosecuting U.S. and international patent applications in a variety of areas, including electrical circuits, software, wireless communication, networking, and medical devices. Jim is a graduate of the University of Maryland at College Park with a Bachelor of Science degree in Electrical Engineering. Prior to entering law school, he worked in the systems protection and controls group at Baltimore Gas and Electric, and as a test engineer for Motorola and 3Com. Prior to joining Schwegman, Jim was an associate at the intellectual property law firms of Vidas, Arrett & Steinkraus, and Shumaker & Sieffert. St. Paul, MN, 2006, J.D. College Park, Maryland, 1995, B.S.E.E.